Weight lifting is a great way to enhance muscle tone and improve fitness, but if you are not careful, it can also be hard on your knees. 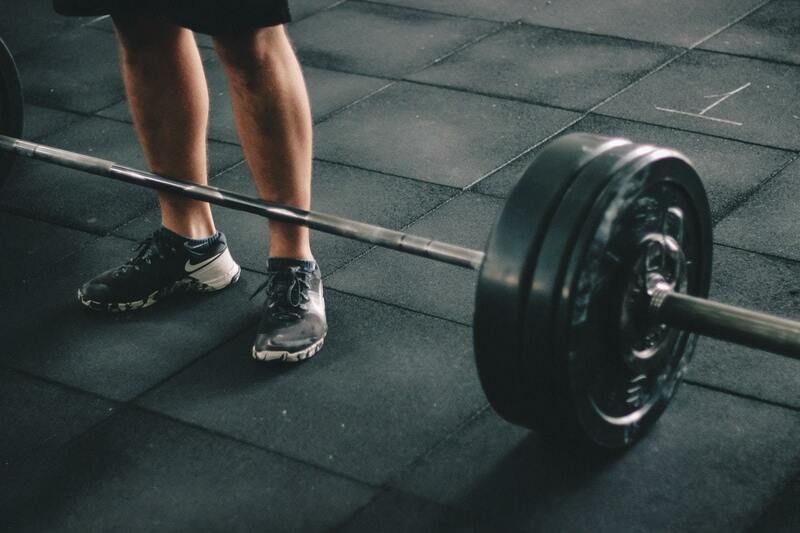 Weight lifters often suffer from nagging knee pain, and in some cases, they may develop full-blown knee injuries like patellar tendinitis or ligament tears. Thankfully, there are ways to lift without putting your knees at risk. Below, you’ll discover some simple knee injury prevention tips for lifters, along with advice for managing any knee pain you do develop. The sooner you implement these knee-protection strategies into your training routine, the better. You must protect your knees whether you normally lift 20 pounds or 200. When you have been relatively inactive all day, your muscles are tight and more prone to strains when you tax them by lifting. Tight muscles also put the tendons and ligaments in your knee at risk for tears. Always start your workout with a good warm-up to loosen your muscles. Warming up also activates your nervous system, making you less likely to take a funny step and injure yourself in the process. A good warm-up includes plenty of dynamic stretching exercises like jumping jacks, forward leg swings, hip extensions, and body weight squats. Your legs should feel loose and limber before you begin lifting. If your quads and hamstrings are strong, they will properly support your weight while you lift, taking some of the strain off of your knees. Many lifters focus on strengthening their quads, but they forget the hamstrings – the muscles that run along the back of the leg and help stabilize the knee. Add some hamstring curls to your weight-lifting routine. Consider using the leg press, too, since it strengthens your quads with less strain on the knees themselves. Whether you’re doing squats, lunges, or some other exercise, using proper form is essential. When you lose your form, the strain is transferred away from your muscles and onto your joints, which can result in knee injuries. Lift in front of a mirror so that you can keep an eye on your form. If you are new to lifting, work with a personal trainer for a few sessions so that they can correct you and ensure that your form is on-point before you move towards lifting heavier weights. Make sure that you are not lifting more than you can handle. If you lift too much weight, your muscles can’t support it, and the strain is transferred to joints, like your knees. Build your fitness slowly, adding weight a little at a time. If you feel that you have to sway your body to keep the weight up, you are lifting too much and need to back off for a while. If you develop some knee pain as a weight lifter, the first thing you should do is back off on your training routine and evaluate whether you’re truly following the guidelines above. Ice your knee a few times per day, and focus on stretching and strengthening your hamstrings or quads. If the pain does not subside within a few days, contact a doctor. Weight lifting can be a healthy practice, and you do not have to sacrifice your knee health to lift weights, either. Follow the advice above, and if you experience any worrisome knee pain as a weight lifter, contact the experts at The Noyes Knee Institute.